Before the start of every General Election (GE) in Singapore, the Electoral Boundaries Review Committee (EBRC) will be formed by the Prime Minister to determine the size and scope of each electoral district. The EBRC consists of 5 civil servants appointed by the Prime Minister, and is helmed by the secretary of the Prime Minister’s Office. The current secretary is 58-year-old Tan Kee Yong. The boundaries are redrawn based on Prime Minister’s suggestions. 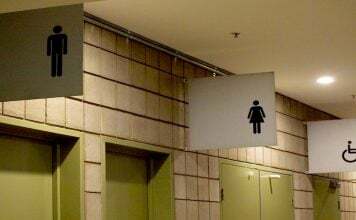 This year, Prime Minister Lee Hsien Loong has suggested for smaller Group Representation Constituencies (GRCs) and at least 12 Single Member Constituencies (SMCs), and the population shift of each respective constituency. While we do not doubt the good intentions of the EBRC in drawing electoral boundaries in the fairest non-political manner possible, this periodic redrawing sometimes results in an identity crisis for voters in some constituencies. 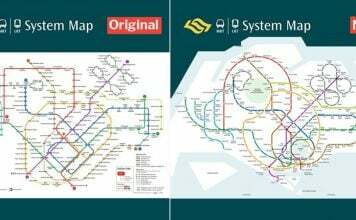 MustShareNews.com reviews 8 neighbourhoods in Singapore where voters suffer from identity crisis as the result of the ever-changing boundaries. 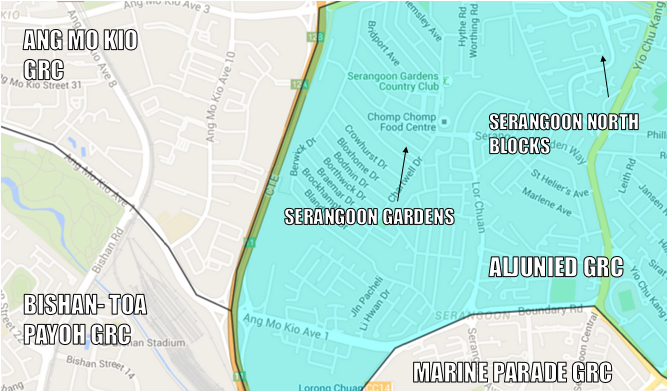 The Serangoon neighbourhood consists of residents living in Block 100s in Serangoon North and Serangoon Gardens private estates. Since the introduction of the GRC system in 1988, voters in Serangoon have identified themselves as residents from 4 different constituencies. 1988 — The Serangoon ward unaffected by the introduction of the GRC system and stood as the Serangoon Gardens SMC. 1991 — The Serangoon Gardens SMC was discontinued and the Serangoon ward was absorbed by Thomson GRC. 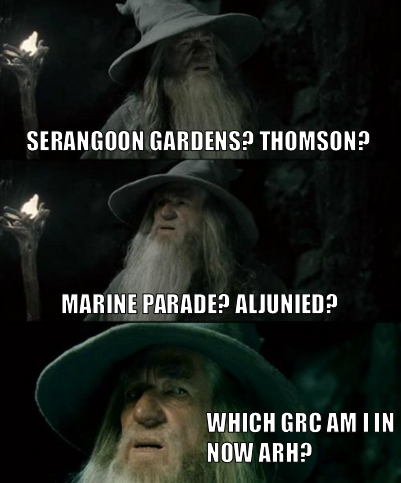 1997 — Serangoon was drawn out Thomson GRC and drafted into the Marine Parade GRC. 2006 — Serangoon made a final switch to Aljunied GRC. Thankfully for Serangoon voters, The Straits Times reported that the Aljunied GRC will most likely stay intact for the coming GE — which means Serangoon voters will be voting in the Aljunied GRC. 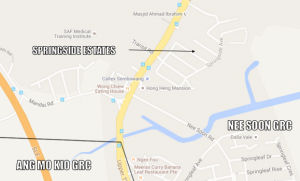 The Canberra neighbourhood in the Nee Soon GRC consists of Blocks 300s of Sembawang — no, there’s no typo. The Canberra ward was created in 1997 to be as part of the Sembawang GRC. 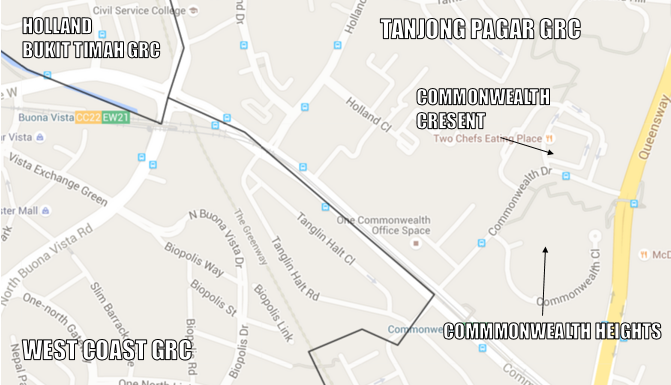 In the 2011 GE, Canberra neighbourhood was redrawn by the EBRC as part of the Nee Soon GRC in 2011. Last Sunday (19 July), The Straits Times reported that the Canberra ward may be set for another constituency shift again in the coming GE, as the result of overall population growth in the Nee Soon GRC. Leader of the Canberra ward, Dr Lim Wee Kiak opinionated to the press that Canberra is geographically susceptible to any boundary changes on the Nee Soon GRC. 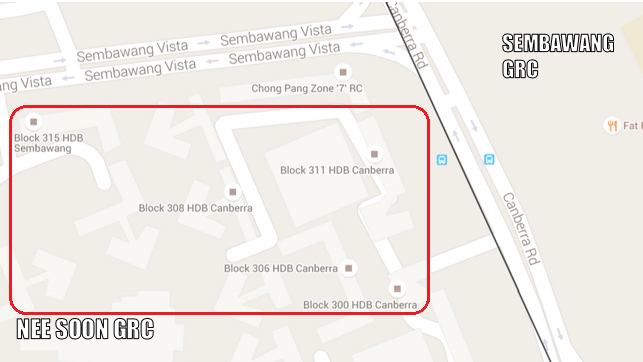 Geographically, Canberra is not within the Nee Soon HDB township but lies more in Sembawang. There are two possible scenarios that await Canberra voters in the coming GE. 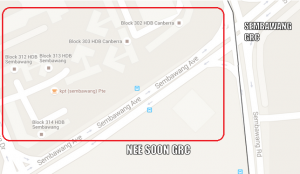 Since the Canberra ward geographically does not belong to Nee Soon GRC, and politically does not belong to Sembawang GRC, there is relative possibility that the Canberra neighbourhood may exit Nee Soon GRC and stand as a SMC. b. Part of Woodlands GRC? Another alternative is for the Canberra neighbourhood to be a part of a newly created Woodlands GRC. A potential Woodlands GRC may include some parts of the Sembawang ward, currently under Minister of National Development Khaw Boon Wan, and some parts of the Woodlands ward, currently under MP Ellen Lee. 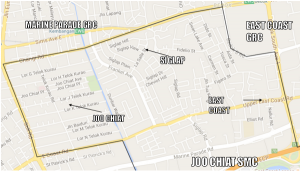 The Joo Chiat SMC consists of areas in Joo Chiat, Siglap, and some portions of East Coast Park. It is also the first constituency in Singapore to consist of only private properties. The Joo Chiat ward initally started of as a SMC in 1984 — Joo Chiat SMC. Introduction of the GRC system in 1988 resulted in the Joo Chiat ward being absorbed by Marine Parade GRC. One election later, the Joo Chiat ward was redrawn into the East Coast GRC in 1997. After the match-make with two other GRCs, Joo Chiat ward finally stood alone as Joo Chiat SMC again on 2001. The battle for Joo Chiat was a close one in the 2011 GE. PAP’s Charles Chong won Workers’ Party (WP)’s Yee Jenn Jong by only 388 votes. The Buona Vista ward consists of living areas at Commonwealth Heights (Blk 81-91) and Commonwealth Crescent View (Blk 96 – 113). Currently, the Buona Vista neighbourhood is under the jurisdiction of National Trade Union Congress (NTUC) Secretary-General Chan Chun Sing for the Tanjong Pagar GRC. Prior to the induction of the Buona Vista ward in Tanjong Pagar GRC, it belonged to 3 different constituencies. When GRCs were introduced in 1988, Buona Vista was not absorbed by any GRC and remained as Buona Vista SMC. In 1997, Buona Vista was briefly absorbed into the Tanjong Pagar GRC for one electoral cycle. In 2001, Buona Vista was redrawn into the Holland-Bukit Panjang GRC, and subsequently the Holland-Bukit Timah GRC by the next election. In the last election, 2011 GE, Buona Vista ward was finally reunited with the Tanjong Pagar GRC. 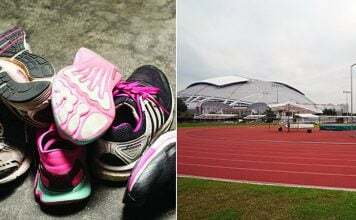 It was a pretty epic adventure for Buona Vista residents. Today, the Nee Soon South neighbourhood consists of voters in Block 700s and 800s at Springside Estate. These blocks are currently part of the Nee Soon GRC. Since the introduction of the GRC system in 1988, residents in Nee Soon South neighbourhood have voted for three different constituencies. In 1991, Nee Soon South was an SMC led by Koh Lip Lin. At the next election in 1997, the Nee Soon South SMC was discontinued and merged into the Ang Mo Kio GRC from 1997-2006. In 2006, the mobile ward separated from the Ang Mo Kio GRC to finally link up with an appropriate namesake — the Nee Soon GRC. Just when you thought the voters of the Nee Soon South ward finally found an appropriate constituency, The Straits Times suggested that new housing projects and a rise of population in the Nee Soon South ward may result in another boundaries change for Nee Soon GRC. 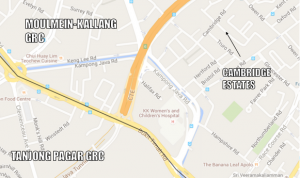 The Moulmein ward is currently under the Moulmein-Kallang GRC and consists of residents living in Cambridge Estate. Since 1988, the Moulmein ward has been redrawn in nearly every single GE. In the 1988 GE, the Moulmein ward stood alone as Moulmein SMC. In the 1991 GE, the Moulmein SMC was discontinued, and the Moulmein ward was drawn as part of the Kampong Glam GRC. In 1997 GE, the Moulmein ward exited Kampong Glam GRC, and was drawn into the Kreta Ayer-Tanglin GRC. In the 2001 GE, the mobile ward left Kreta Ayer-Tanglin GRC, and joined Lee Kuan Yew’s Tanjong Pagar GRC. Two elections later in 2011, the Moulmein ward left Tanjong Pagar, and contested as Moulmein-Kallang GRC. 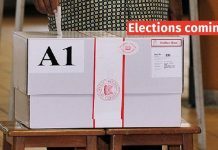 The voters of the Moulmein ward changed constituencies for a total of 5 times, and we can totally imagine them looking for their MPs. That’s Minister Lui Tuck Yew, the same man who is currently under fire about the state of public transport in Singapore. 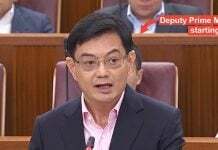 It may be politically unwise not to make any changes to protect the Moulmein-Kallang GRC from backlash against the Transport Minister. It was reported by The Straits Times that the Kreta Ayer-Kim Seng ward in Tanjong Pagar GRC may be combined with some parts of Moulmein-Kallang GRC to form a new Kallang GRC — resulting in possible adjustment in the Moulmein ward. 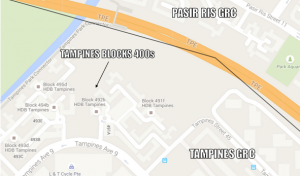 The Tampines North ward consists of 150 blocks that ranges from 401-490B, 491A-495F, 496A-496G, 497A-497L, 498A-498M, and 499A-499C. The ward is currently managed by MP Baey Yam Keng. Prior to the addition of the Tampines North ward into the Tampines GRC, the ward was part of the Tampines SMC in the 1984 GE. 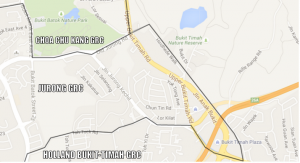 The introduction of the GRC system in 1988 brought Tampines North ward to merge with the Paris Ris ward, Kaki Bukit ward, and Eunos ward to form Eunos GRC. After two elections, the Tampines North ward was renamed to Pasir Ris South and was redrawn into the Pasir Ris GRC for 4 years. Since the 2001 election, Tampines North ward left the Pasir Ris GRC and comfortably settled down in the Tampines GRC as Tampines North ward again. However, it may not be for long; there are speculations on the ground that Tampines North may re-emerge as a SMC in the coming GE to cope with a possible rise of population resulting from the development of the Tampines North New Town. The MacPherson ward consists of neighbourhoods in MacPherson Garden (Blk 37 – 72), MacPherson Residency (17A – B 18A – D) and is currently under the Marine Parade GRC. 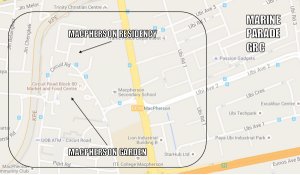 MacPherson’s voters constantly shuttle between MacPherson SMC and Marine Parade GRC. In 1988, the MacPherson ward stood as MacPherson SMC. The MacPherson ward merged into the Marine Parade GRC at the subsequent election in 1991. By the next election, MacPherson was redrawn out of Marine Parade GRC and stood again as MacPherson SMC until 2011. In 2011, the MacPherson ward was absorbed into the Marine Parade GRC again. Confused? 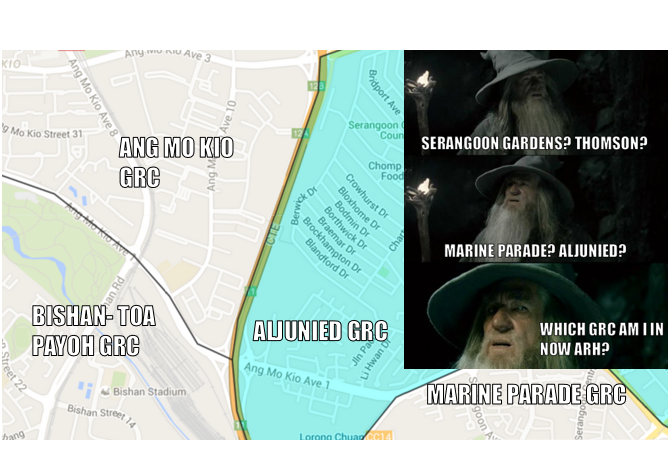 Basically, the MacPherson ward has been constantly switched in and out of the Marine Parade GRC since 1991. 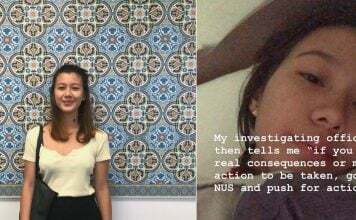 The redrawing of the electoral boundaries not only causes unpredictability for the contesting political parties, but also results in identity crises for voters in various Singaporean neighourhoods and wards. As someone who lives along Jalan Jurong Kechil, jogs at Bukit Batok Nature Park, and occasionally has meals at Toh Yi Drive, the identity crisis is pretty real for me as well.